To secure and register your brand name it must be unique, and must not contain any restricted wording. To check if your name is available, conduct a business entity search through the state, and if you expect any potential trademark issues, conduct another quick search using the TESS System through the U.S. Patent Office. 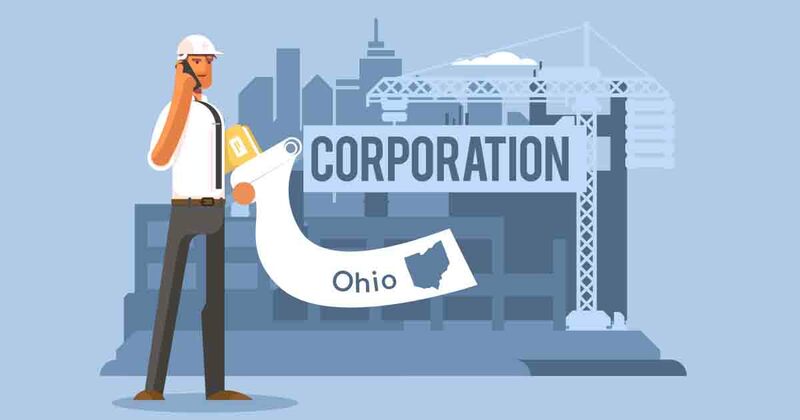 Keep in mind your name must contain the word “Corporation”, “Incorporated”, “Company”, or “Limited”, or the abbreviation “Corp”, “Inc”, “Co” or “Ltd”. If needed, you can submit a name reservation form with the state. Quick Note: Before you commit 100% to a name, you may also want to check that there’s a decent URL available for your business. Use WEEBLY to search your options. If there’s a quality domain name for purchase, we advise buying it right away. Even if launching a website isn’t on your radar right now, it’s going to be soon, and you might as well nail down a domain name that’ll make it easy for customers to find you! A registered agent is an intermediary who is responsible for receiving and handling important paperwork like state filings, tax forms and legal notices on behalf of your corporation. They can either be resident of Ohio or a business entity that's legally registered with the OH Secretary of State. While they'll need to provide a physical street address, your registered agent may use a certified P.O. Box after proving Ohio citizenship. You can designate a registered agent by electing someone within your company, hiring an outside professional, or incorporating through a provider like Incfile to get a full year of these services for free. Think of this as the hard-copy records book where all critical corporate documents are kept, like the Articles of Incorporation, bylaws, meeting minutes, stock certificates, etc. It’s the ultimate company binder! While it’s not legally required, having one is highly recommended for all serious business entities. You can find one at a nearby office supply store or on Amazon, but we’re huge fans of corporate kits, which include gorgeous custom pieces like printed bylaws and a branded embossing seal. Appoint at least one director who, among other things, will oversee the corporation until the first shareholder meeting (when new directors will be voted in). Prepare an “Incorporator Statement” with complete names and addresses of each director (keep it in your records book). Record meeting minutes, have directors sign (and add to records book). Keeping tabs on expenses, cash flow, and other financial aspects of your business can be a tedious process. However, maintaining a completely distinct business bank account for your corporation can help lessen the burden of sorting/tracking your finances. If you haven't appointed a CFO yet, do some homework on your own before choosing a bank. Learn about the different fees, kickbacks, incentives and financial services that various banks have to offer. Here’s a quick breakdown of our favorite business checking accounts to get you started on your research! To legally operate in Ohio, you’re required to be 100% compliant with all relevant local/state/federal agencies. Ideally, you should work with an attorney, but at the very least you need to dedicate the time to knock this out on your own. Get an EIN (Employer Identification Number) quickly and free-of-charge through the IRS Website. Bookmark the Ohio Business Gateway and for taxes, the Ohio Dept. of Taxation website. To form an S-Corp, submit Form 2553 with the IRS. Consider using a professional business license service to get some of the legwork taken care of on your behalf.